The kidney bean or red bean is a variety of the common bean (Phaseolus vulgaris). It is named for its visual similarity in shape and color to a kidney. Kidney beans are often confused with other beans that are red, such as azuki beans. The kidney bean or red bean is a variety of the common bean (Phaseolus vulgaris). It is named for its visual similarity in shape and color to a kidney. Kidney beans are often confused with other beans that are red, such as azuki beans. In Jamaica, they are called "red peas." Red kidney beans are commonly used in the northern regions of India and Pakistan. In the United States, the kidney bean is an integral part of Creole dishes in Louisiana. 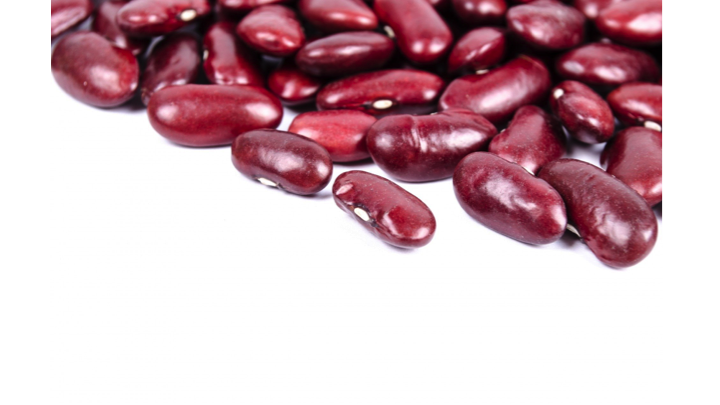 Here are the 7 health benefits of kidney beans. 1. Kidney beans are a phenomenal source of protein. One cup of kidney beans contains 16 grams of protein, making it an excellent protein source for vegetarians. Kidney beans contain all the essential amino acids that are needed for proper muscle-building. 2. Kidney beans will improve your digestive system’s health. Kidney beans are an excellent source of fiber. A one-cup serving of kidney beans contains 16 grams of dietary fiber. The daily recommended dietary fiber intake for men and women are 38 grams and 25 grams, respectively. Fiber may help prevent constipation, making one’s bowel movement easier to control. 3. Kidney beans can help maintain a healthy blood pressure. Kidney beans have a very high content of potassium and a low content of sodium. One cup of kidney beans contains a whopping 742 milligrams of potassium, compared to 7.1 milligrams of sodium. Folate can also contribute to the reduction of hypertension and relaxation of blood vessels while maintaining proper blood flow. 4. Kidney beans are helpful for pregnant women and their babies. Kidney beans are an excellent source of B-vitamins like folate. One cup of kidney beans contains 33 percent of the recommended daily value of folate. Folate has shown to help in neural tube formation and red blood cell formation in prenatal babies. A deficiency of folate in pregnant women can lead to the birth of underweight infants and may also result in neural tube defects in newborns. 5. Kidney beans can help you detoxify. Sulfites are acidic compounds found in wines, dried fruits, and some vegetables, which can cause side effects, such as headaches and disorientation. Studies have shown that kidney beans are extremely high in molybdenum, a rare mineral not frequently found in foods. This mineral counteracts these side effects. 6. Kidney beans can also improve your nervous system. Molybdenum helps in cell energy production and development of the nervous system. Kidney beans also provide the brain the necessary amino acids, vitamins, and minerals. Some vitamins, including folate or folic acid, play a significant role in the regulation of specific amino acids that the nervous system requires. Studies have shown that a deficient amount of dietary folate can increase the homocysteine levels, which can be a dangerous precursor to neurodegenerative diseases like Alzheimer’s disease and Parkinson’s disease. 7. Kidney beans can help with blood formation. Copper and iron are essential for the new blood cell formation. One cup of kidney beans contains 26 percent and 29 percent of the daily recommended value of iron and copper, respectively. A deficiency of iron can lead to anemia. Prohaska, J. R. (1987). Functions of trace elements in brain metabolism. Physiological reviews, 67(3), 858-901. Anderson, J. L., Waller, D. K., Canfield, M. A., Shaw, G. M., Watkins, M. L., & Werler, M. M. (2005). Maternal obesity, gestational diabetes, and central nervous system birth defects. Epidemiology, 16(1), 87-92. Mills, J. L., Lee, Y. J., Conley, M. R., Kirke, P. N., McPartlin, J. M., Weir, D. G., & Scott, J. M. (1995). Homocysteine metabolism in pregnancies complicated by neural-tube defects. The Lancet, 345(8943), 149-151.